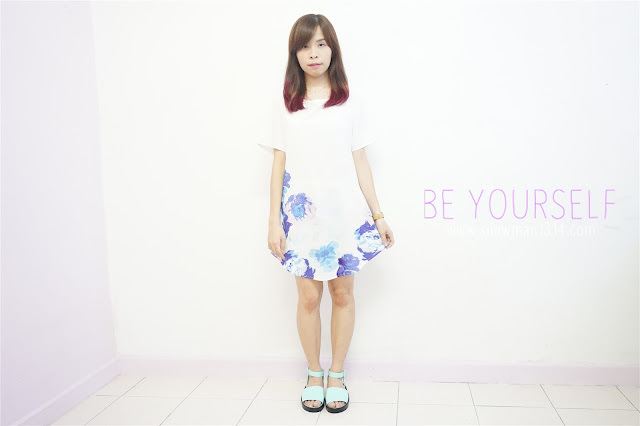 Hi lovelies, its been a well since I post my outfit post as I was busy with other sponsor and paid post. I just hope that I have more time to blog about things I like, things I eat and things I wanted to share. There is so much things I hope to blog and share so that in the future, the post might be a good use for me and all my readers as well. Been a little busy with blogging life and work life. This weekend is a holiday weekend but I will not be in town. Seriously hoping for more time for myself and blog. I have shoot this outfit since last month and have not be able to post it with my busy schedule of life and work. 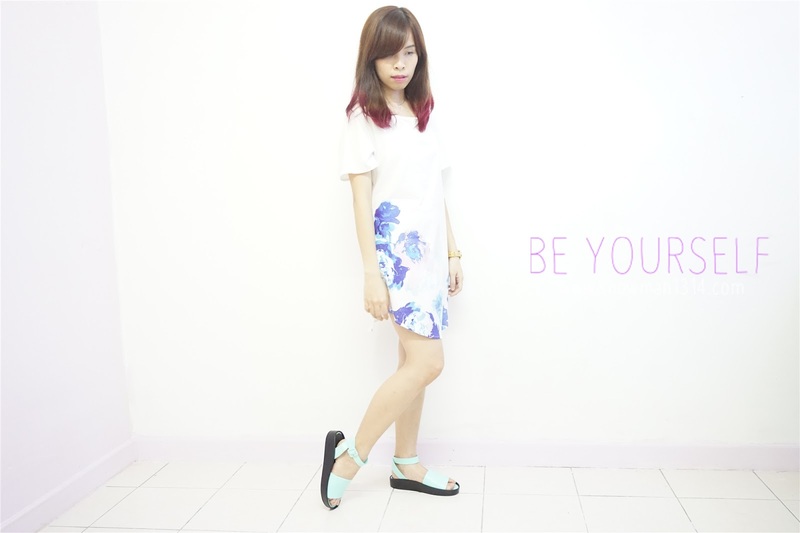 Here I will be sharing 4 effortless looks create by my new sandal from my boyfriend. I really love this sandal and I never thought that my boy will love this style of sandal look on me. So here's my 4 Effortless Look with Sandal. My favorite among all. First look I match the sandal with a Straight A Line dress that I bought from Taiwan. I love this dress design with the deep dye flower pattern. The color was mix with both of my favorite color, Blue and Purple watercolor. Material wise was really comfy with mere silk material. It was kinda short for me when you are sitting down, safety pants is a must. Go out for a casual date with Dress and a pair of Sandal. 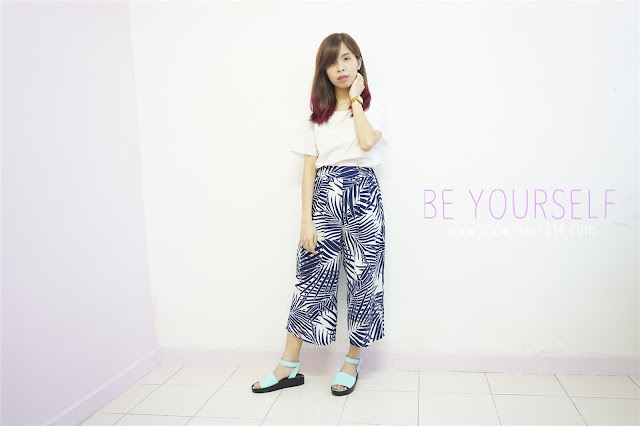 My second look with effortless culottes!! If you have been checking out my Instagram, I have many outfit matching with culottes look. Guess how many culottes I have own now, still continue to add on with different color and pattern. 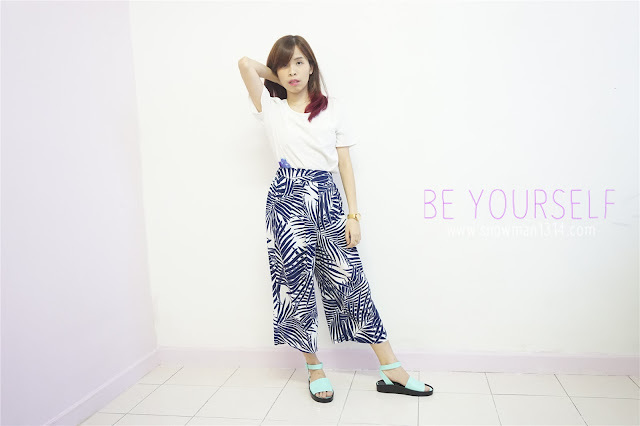 Since my culottes is already with leaf blue pattern, to be safe and easy you can pair it with a white top. It can be many style you want, with cardigan or jacket. 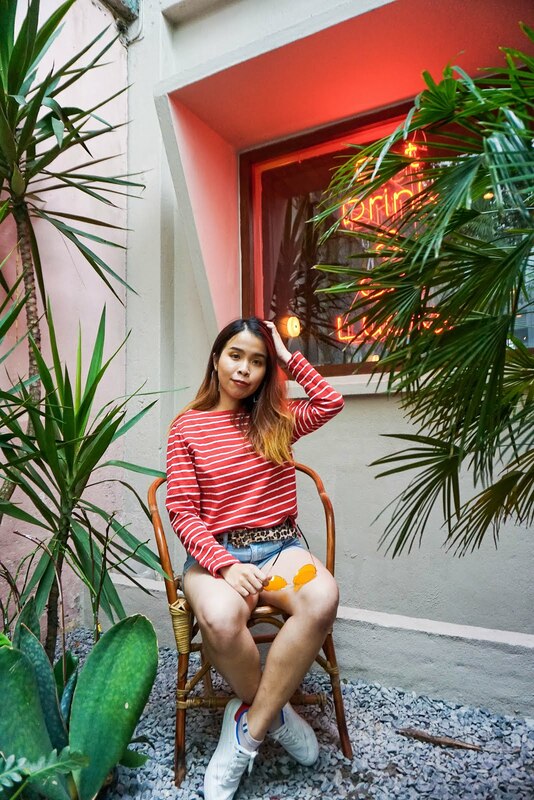 The sandal still make this look super effortless and casual. Go with a Shirt and Shorts and never forget your sandal! If your top is feeling too plain, try pair up with a sandal with bright color or outstanding pattern. To make your look more chic and effortless but in the mean time it can be fashionable too. 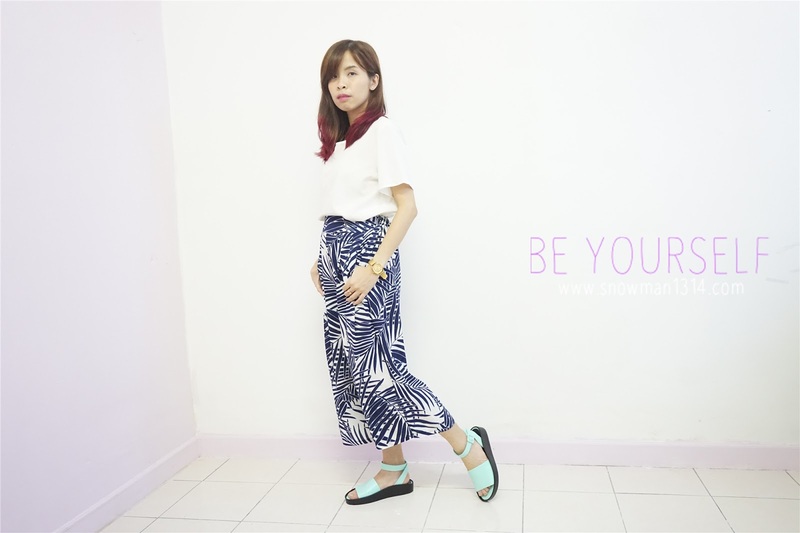 Lastly create a quite street and cute look with the sandal. I love the top with the see through net design and the back design too, it was a split back design. Pair with the look 3 same shorts again, that cost only RM15 from Cotton On. It was quite a haul that day and I bought this sandal that day too. Slightly black and white look but with my Minty Sandal, it kinda stands out among this whole outfit. 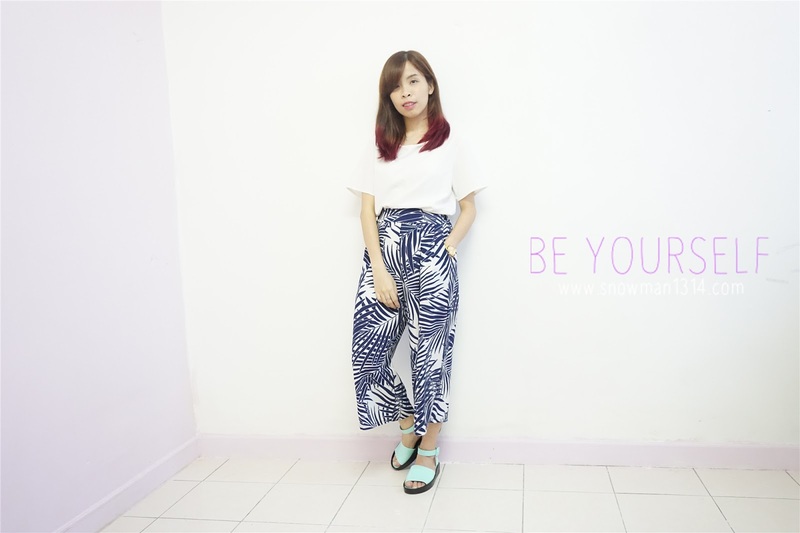 This is all my 4 Effortless Look with Sandal. Hope you guys like it! I guess I will be stopping video for a while because I wanted to focus on the photo outfit first before I go up to another level. yeah I like this sandal too! thanks! Wahhhh nice outfit and pose! Just randomly post >.< I love the second culottes outfit too! Thanks Sharynn for the compliment! hehe okay will do! you looks cute and nice with your outfit. Keep Going ya! nice choice on the color and it really suits you. Hhee.. love your choice of outfit too, they sure match the sandals. Thanks sherry! Yeah actually I just simply match it out with my sandal though xD haha but surprisingly look nice and coordinate hehe! Cuteness overload. Love the looks here. The sandal looks very comfy too. :) would love yo have this in my wardrobe. you even make sandals look great! u is magician la like this. Hi Sharon, I enjoy the ways you match the comfy sandals with many different matching outfits : ) Nice! Thanks Sienny! It just a thought to create this 4 looks with the sandal! Thanks! It was my favorite too, I like its material too which are really comfy hehe! Charles and Keith has the most versatile shoes ever! I definitely agree on this! Thanks Leona! Mee too, I love minty color too and in pastel mint is really sweet color too! Thanks for the love! seems like look 2 and look 4 got many people to like! Thnaks nicole! whyyyyyyy!!! Confident is never been an issues its depend that you want to take the first step or not xD Gambattee!! I like your mix and match free style!! Good try!! I think it looks fabulous and your outfit looks amazing!